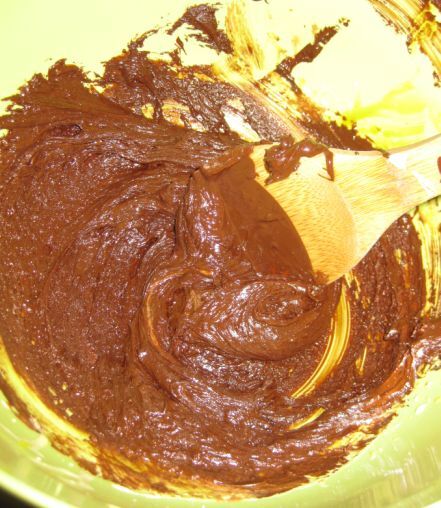 What is Mousse? 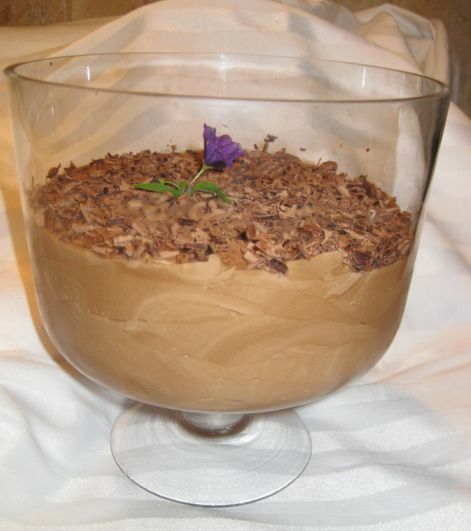 Mousse is a French word meaning "froth" or "foam". 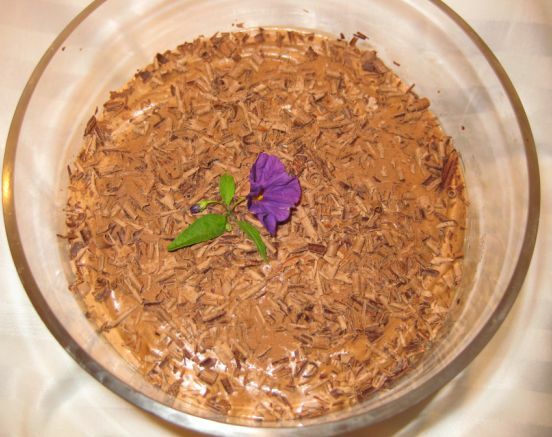 A mousse is a rich, light and airy dish that can be either sweet or savory and it can be served hot and cold. 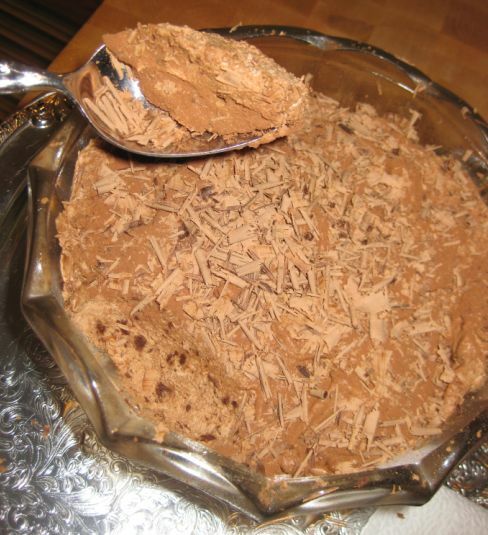 Cold dessert mousses are usually made with fruit purée or a flavoring such as chocolate. 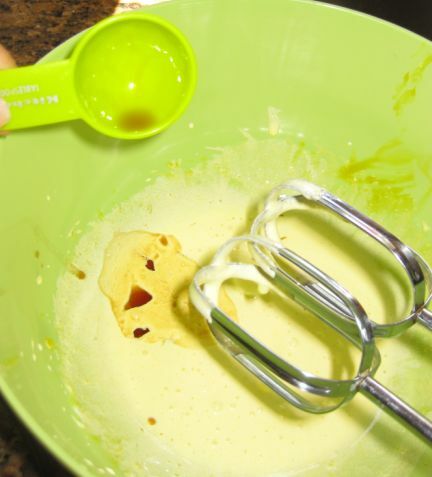 Their fluffiness is due to the addition of whipped cream or beaten egg whites and they're often fortified with gelatin. Savory mousses can be made from meat, fish, cheese or even vegetables. 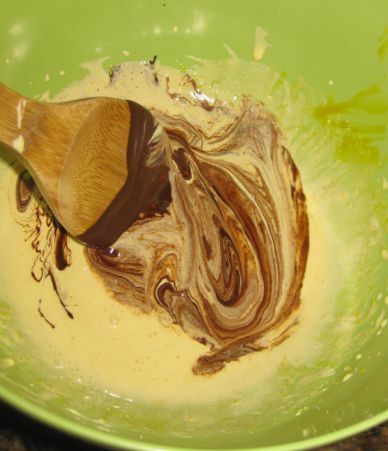 Tonight I am making a chocolate mousse! 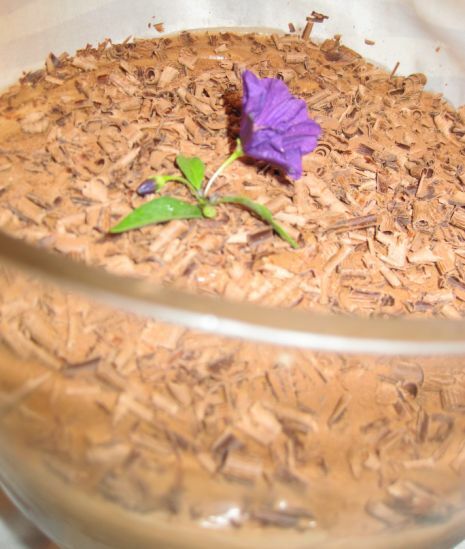 Chocolate mousses are so light and so decadent at the same time. If you a chocolate lover, this dessert is for you. I brought this dessert to Phuc's and Huyen' party and there was just not enough for everyone! By the time the kids got their portion there was nothing left and the adults did not even get a chance to taste it! 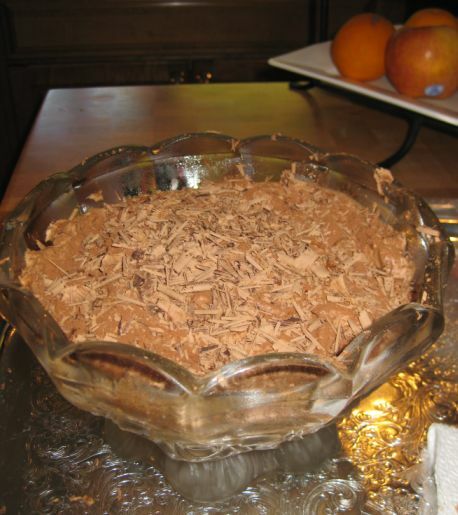 The following weekend, I double the recipe and brought it to Trung's and Ha's house and this time there were enough Mousse for everyone! This the small portion that was gone in a flash. 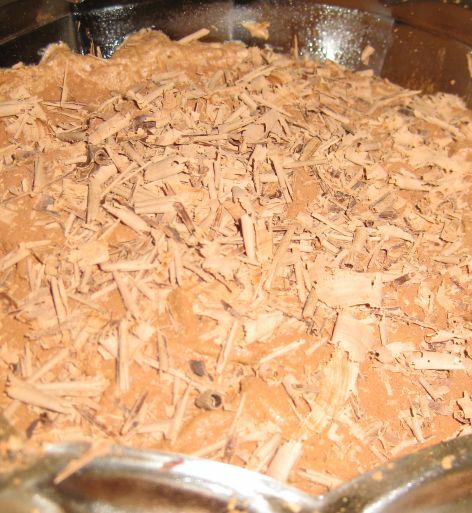 Close up look at the chocolate mousse. 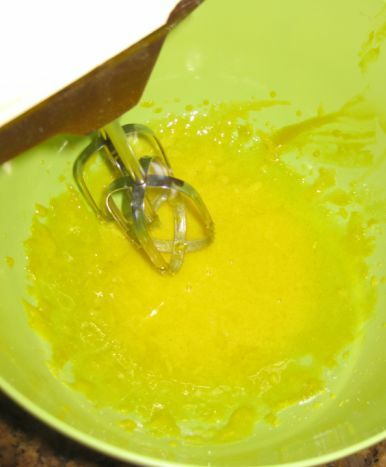 Eggs and sugar are combined in a large bowl. 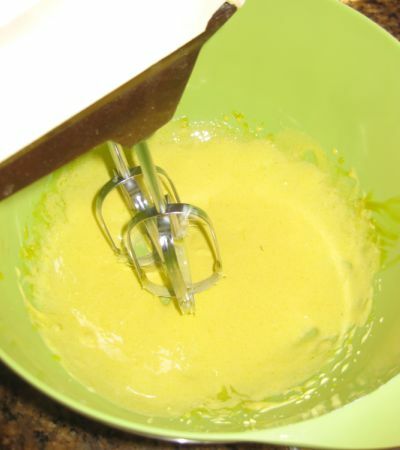 The mixture is beaten until thick pale and forming a ribbon. 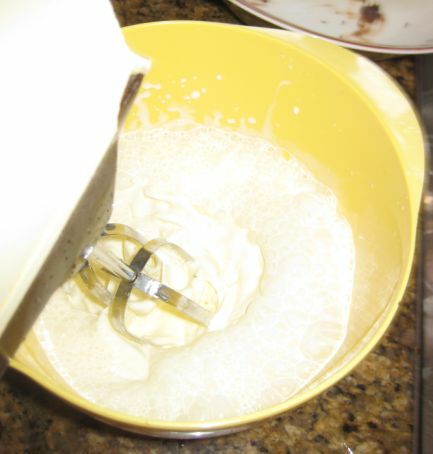 Once the mixture is fluffy, vanilla is added. 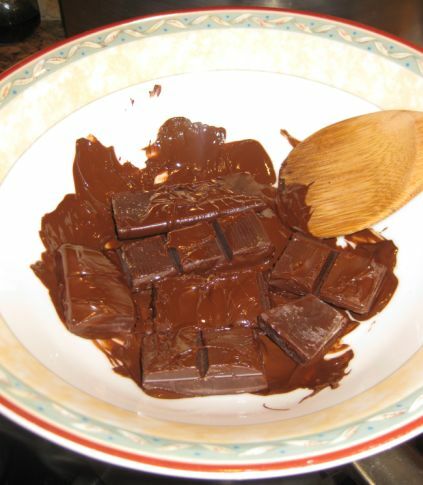 Chocolate is melted in a bowl rested on a pot of simmering water. 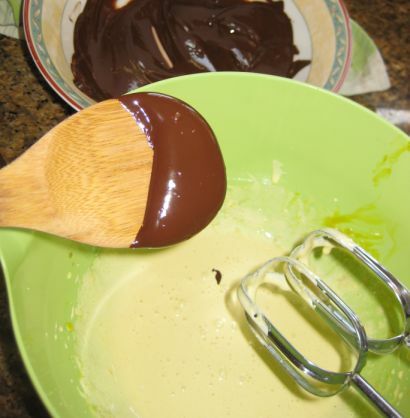 The chocolate is folded gently into the egg mixture. Here I am beating the whipped cream to soft peaks. 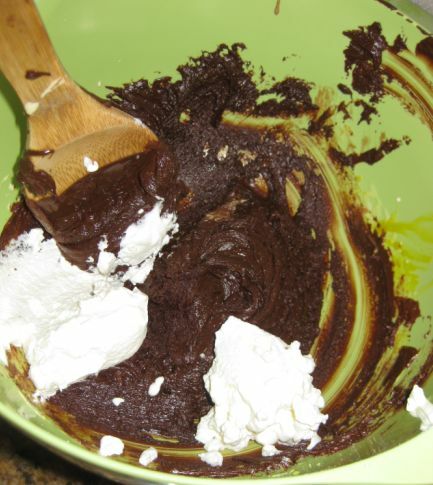 The whipped cream is added to the chocolate and egg mixture. 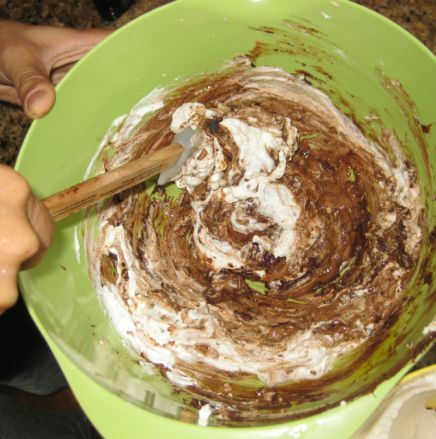 Here I am adding the remaining whipped cream into the bowl. 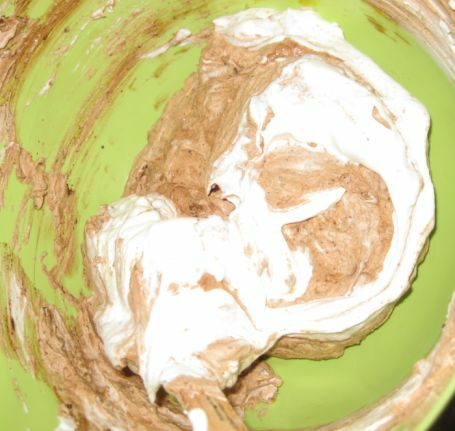 The mousse is then refrigerated for at least 2 hours before it can be served. 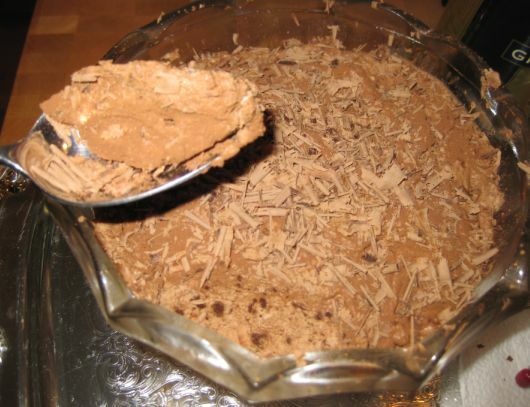 Once it is ready to be served I sprinkle a bunch of shaved chocolate on top of the Mousse.